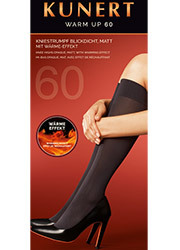 Just like the Suede Matte 50 Hold Ups these fabulous knee highs are soft and cosy to wear. 50 denier makes them that little more durable and the matte looks gives them a grown up look and feel. Ideal under trousers these are a real must have for your Winter wardrobe.